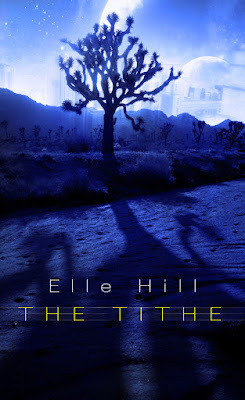 Elle Hill is here today showing off her latest book, The Tithe. Welcome Elle! A warm arm encircled Josh’s shoulder. She shrieked before realizing it belonged to Blue. The baggy sleeves of his black tunic partially covered her head. She turned to him, and he pressed her closer.